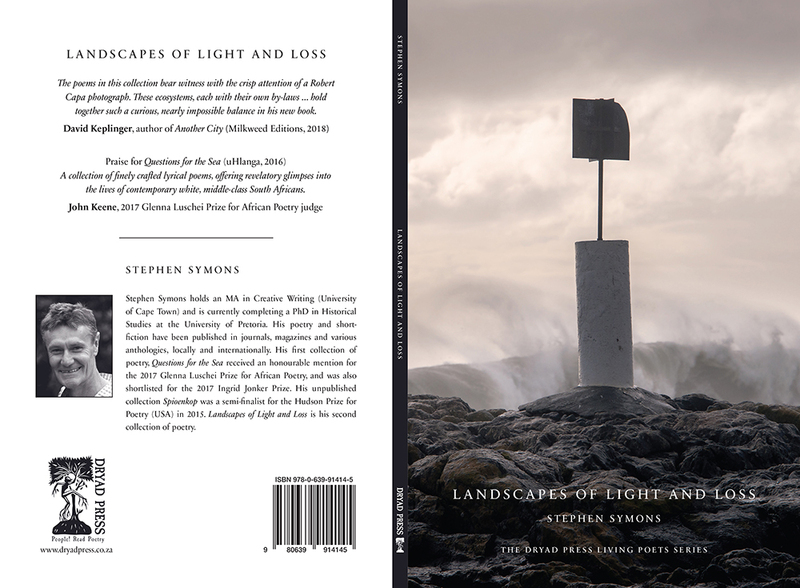 Dryad Press announces the publication of Stephen Symons’s second collection, Landscapes of Light and Loss. Visit our News page for details of the launch in October 2018. “Night is a destination dipped in cobalt. from Landscapes of Light and Loss. 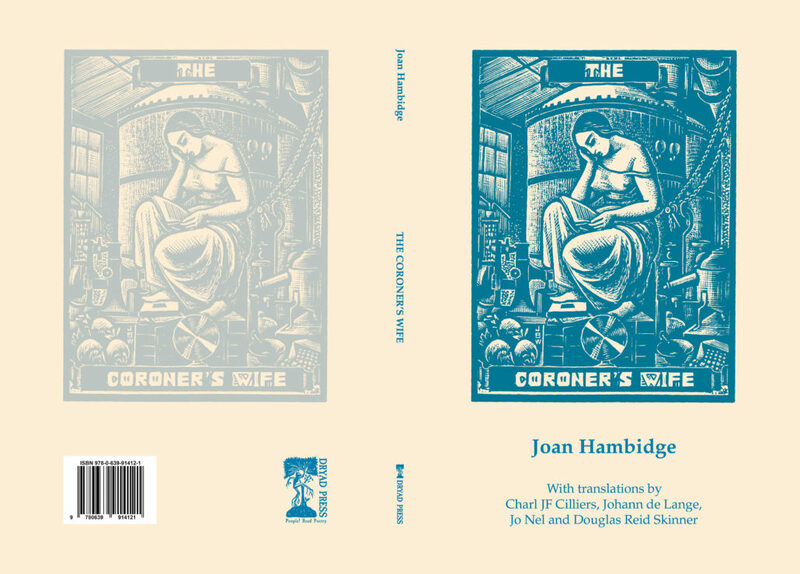 Dryad Press is delighted to announce the publication of, The Coroner’s Wife, a selection of the poems of Joan Hambidge in translation. With translations by well-known poets Charl JF Cilliers, Johann de Lange, Jo Nel and Douglas Reid Skinner, this selection offers English readers a unique opportunity to experience a renowned poet in their own language. Visit our News page for details of the launch. and everyone who has crossed my path. 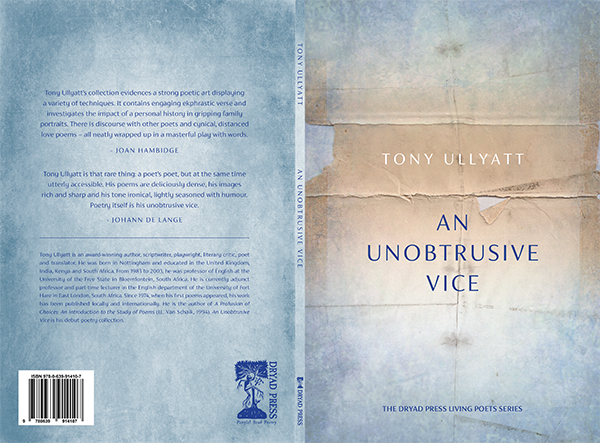 Dryad Press is pleased to announce the publication of Tony Ullyatt’s debut collect, An Unobtrusive Vice. This collection is the third in the Dryad Press Living Poets Series. 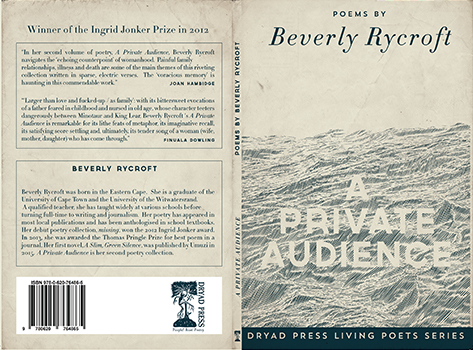 Dryad Press is delighted to announce the publication of Beverly Rycroft’s long awaited second collection, A Private Audience. This collection is the second in the Dryad Press Living Poets Series. 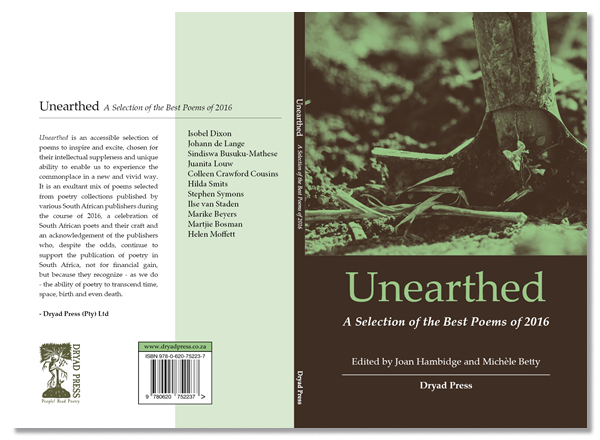 Edited by Joan Hambidge and Michèle Betty, Unearthed features a selection of the best poems published in 2016 and features the work of Isobel Dixon, Johann de Lange, Sindiswa Busuku-Mathese, Juanita Louw, Colleen Crawford Cousins, Hilda Smits, Stephen Symons, Ilse Van Staden, Marike Beyers, Martjie Bosman and Helen Moffett. 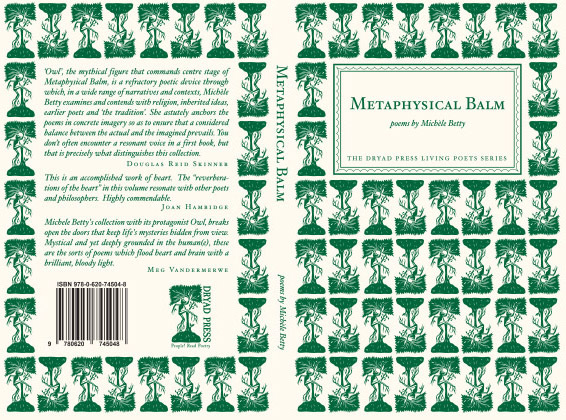 Dryad Press (Pty) Ltd is proud to announce the publication of its first poetry publication of 2017: Metaphysical Balm by Michèle Betty. “Michele Betty’s collection with its protagonist Owl, breaks open the doors that keep life’s mysteries hidden from view. Mystical and yet deeply grounded in the human(e) these are the sorts of poems which flood heart and brain with a brilliant, bloody light” (Meg Vandermerwe). All the publications are available from the bookstore.